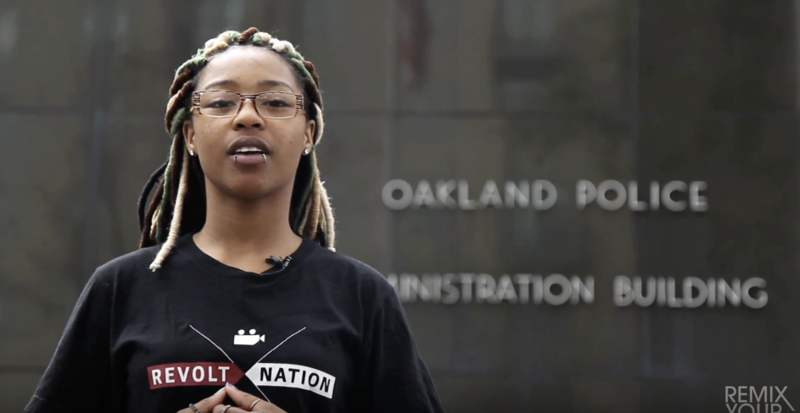 Youth Radio’s Dani Tarver performs a powerful piece she wrote in 2015 about the injustices young black men face growing up in America with police brutality and racial profiling. Because of all of the deceit that everyone’s been told. Because of all the deceit everyone’s shown me. The youth is loud. We speak up and we’re proud. We are rebellious and we are unique. We are the ones that are constantly beat. Beaten and abused. gunned down, shot and accused. Media is leading us in the wrong direction. Guns and knives we keep because it’s our protection. Violence and death is what the youth are immune to. Then the sky lights up, you thought you heard thunder outside. Then to wake up to see no rain outside. Only to hear on the news that another young, black male was shot by police outside. But not just any young black male. He could have been your friend or better yet, your brother. That’s not just any black male. That could have been me. That could have been you. That could have been us. The list continues for all the victims who tripped over luck and stumbled into tragedy. The youth is loud. The youth is brave. I am proud but my anger is filled with rage. I am loud and I will be heard.